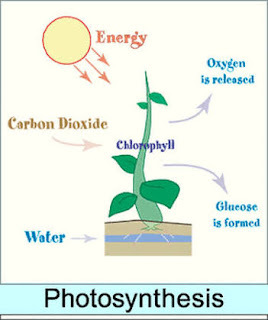 Photosynthesis is the process by which plants and other things make food. It is a chemical process that uses sunlight to turn carbon dioxide into sugars that the cell can use as energy. As well as plants, many kinds of algae, protists and bacteria use it to get food. Photosynthesis is very important for all life on Earth. Most plants either directly or indirectly depend on it. The exception are certain organisms that directly get their energy from chemical reactions; these organisms are called chemoautotrophs. Photosynthesis can happen in different ways, but there are some parts that are common. A great variety of living things on earth, including all photosynthetic microorganisms, synthesize their foods from simple molecules such as carbon dioxide and water. In microorganisms, photosynthesis occurs in unicellular algae and in photosynthesizing bacteria such as cyanobacteria and green and purple sulfur bacteria. 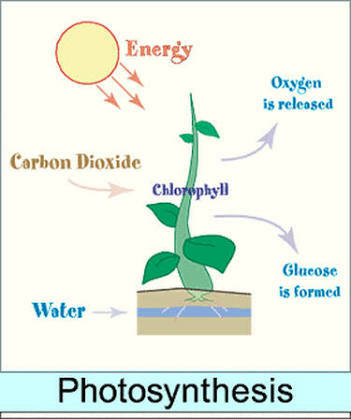 Photosynthesis is actually two processes.